One of our first ‘Lite’ accommodation providers & a firm favourite for its central location. 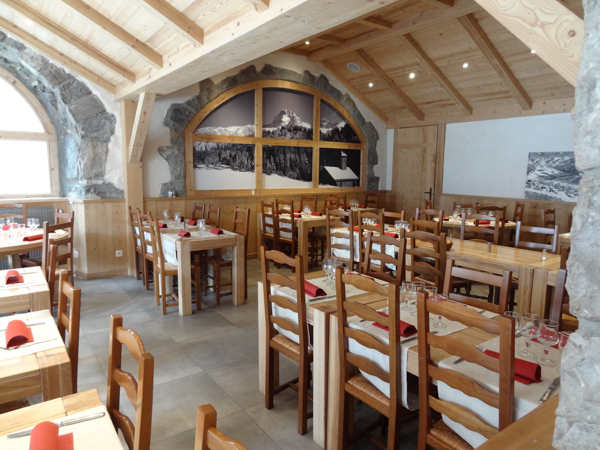 A traditional Sayoyard hotel right in the heart of the charming village of Le Grand Bornand, Hotel La Pointe Percée is a 20 bedroom hotel with fantastic mountain views, which is conveniently positioned for easy access to the village, slopes and everything the resort has to offer. It offers a comfortable quality of rooms and accommodation with a superb, friendly service – and provides a fantastic value-for-money option. 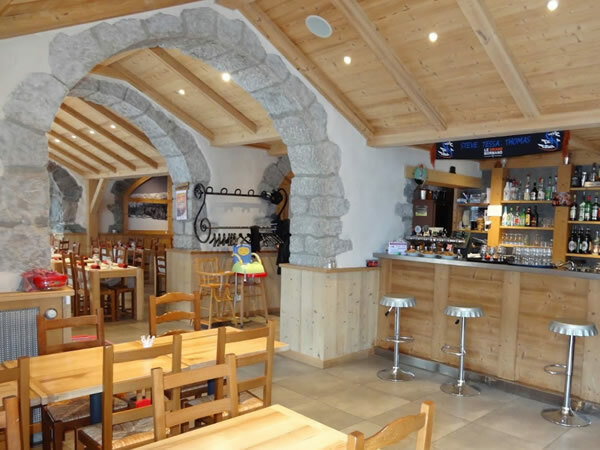 Also located close to the free ski-bus stop, you can easily ski both resorts of Le Grand Bornand and La Clusaz on your short ski break staying here. It’s just a 10 minute ski bus ride away. You will find Claudette and her team very warm, friendly and accommodating, and she is always on hand to answer questions or offer advice. She has become a firm favourite amongst our guests and can’t do enough for you. All amenities to hand, allowing you the maximum amount of time on the slopes. 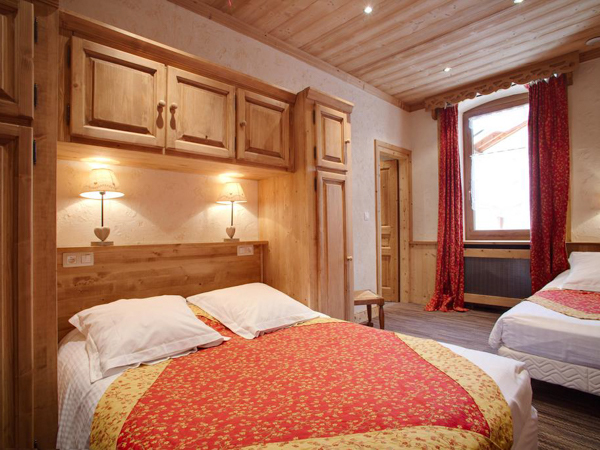 The hotel has 20 ensuite bedrooms which are decorated in a traditional cosy Savoyarde style. 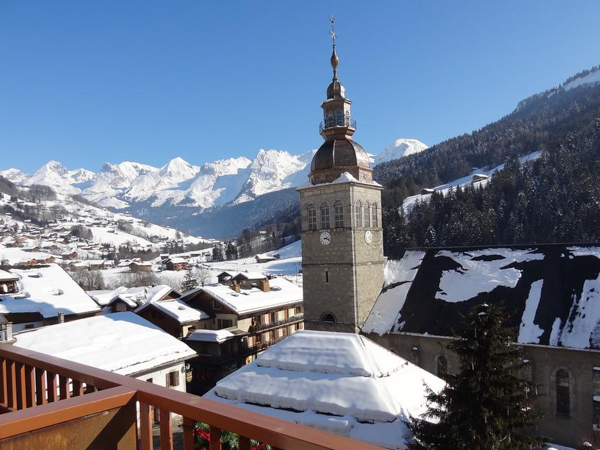 Some have south facing balconies looking over the village centre and Aravis mountain range. This hotel is good for solo travellers, as there are a limited number of rooms which can be booked without a single supplement. As is the norm, check out is on the morning of departure, but this hotel provides you with a recently renovated shower and changing room which you can use on departure day. This gives you the opportunity to ski all day and leave for the airport feeling refreshed. Whilst lacking a cosy lounge, the location of this hotel provides you with everything the village has to offer on your doorstep. Very close by you will find a number of bars – including the favourite Deux Guides complete with pool tables. There are several restaurants, bars and shops surrounding the hotel, including a couple of great bakeries as well as a small supermarket. If you feel like a break from skiing, every Wednesday morning there is a traditional market which takes place in the square just opposite the hotel, where you can mix with the locals as well as other visitors. You will find a wide selection of locally produced cheeses, cured meats, wines and souvenirs, specialist to the region. The buffet breakfast is taken in the hotel dining room, whilst the restaurant is downstairs for dinner. 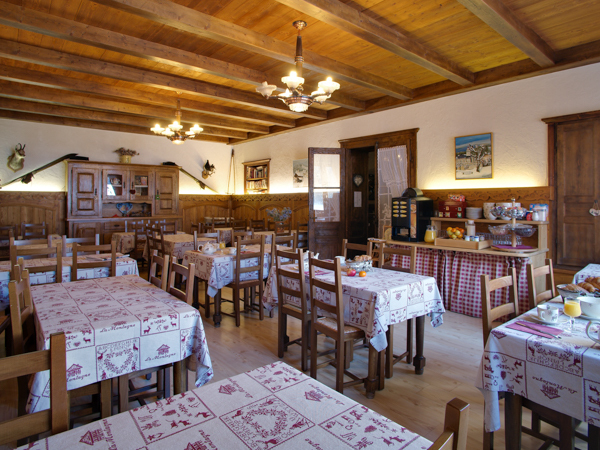 Each evening you can enjoy a menu that includes local specialities. A carafe of wine is included with the evening meal. 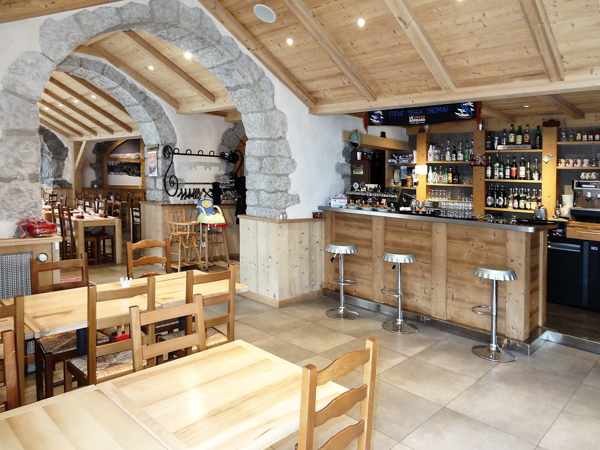 This hotel is located in the heart of the picturesque village of Le Grand Bornand, just an hour’s airport transfer from Geneva and a short 10 minute bus ride to the neighbouring ski resort of La Clusaz. The interstation bus is included in your package at no extra charge. Access to the lifts and slopes is via a free ski-bus, which stops just across the road and is a 2 minute journey to the main telecabines. 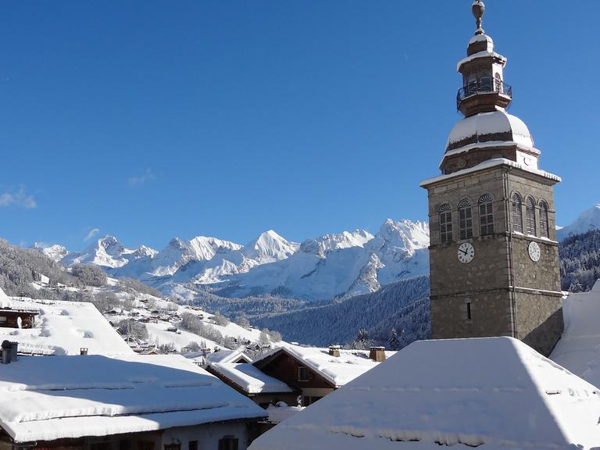 If you prefer to walk, the ski hire shop that we recommend you use is just by the main ski lifts; they provide lockers so that you can walk from the hotel in 5 minutes, then change into your ski boots when you get there. Airport transfers on Lite Packages are included for flights scheduled to arrive into Geneva airport between 1500 – 2115, and for departure flights taking off at 1600 or later. On departure, your airport transfer will leave resort 3 – 3.5 hours before your flight time, meaning an evening flight from about 2000 onwards will let you ski all day on your last day. 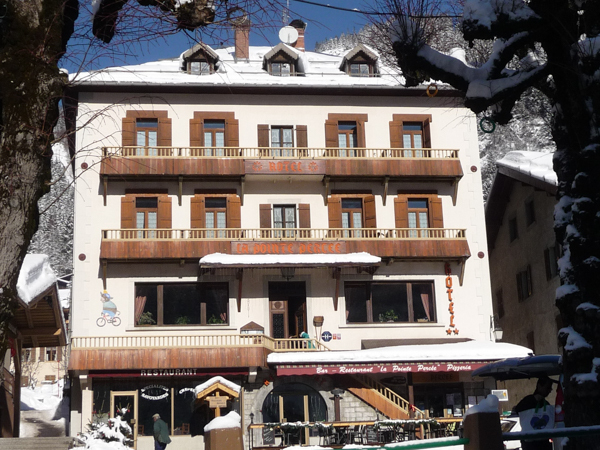 Stays at Hotel La Pointe Percée are possible throughout the winter season, from the end of December to mid-April. Stays include half-board hotel accommodation – continental breakfast and 3-course evening meal with wine. 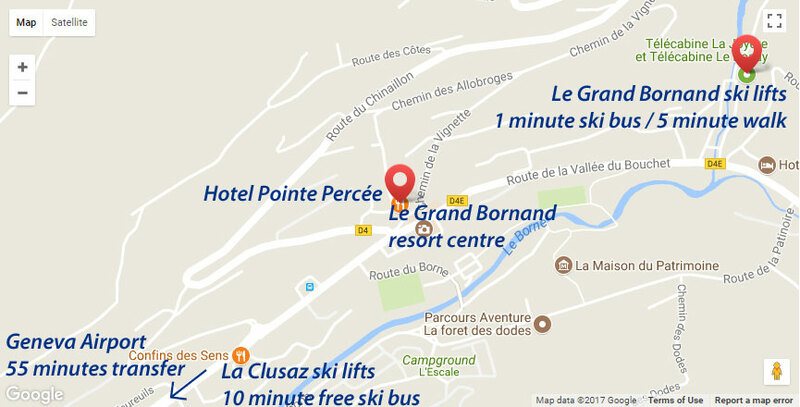 We partner with Paret Sports who are located at the bottom of the Rosay and Joyere telecabines, just a 5-minute walk from the hotel. They provide a ski locker facility for our guests, meaning you can walk to/from the ski lifts in your normal shoes. Paret SPorts offer a discounted rate to our guests and you will find Eric and Audrey very helpful. 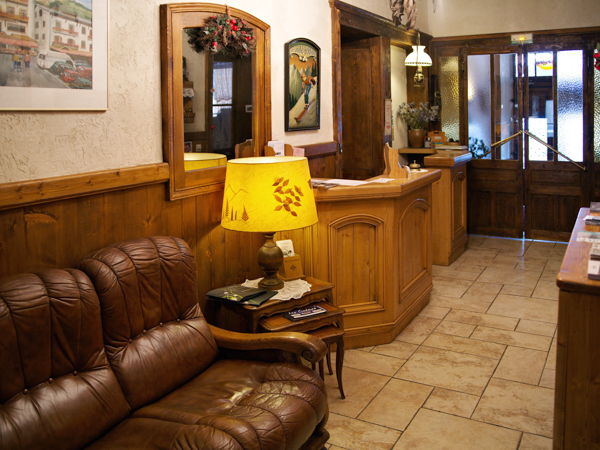 At Hotel La Pointe Percée, hire of ski jackets, trousers, goggles and gloves can be pre-arranged. Word-of-mouth recommendations are important to us. Click on the TripAdvisor logo to see the many reviews from guests who’ve stayed at Hotel La Pointe Percée. Want to stay at Hotel La Pointe Percée... ?